Wednesday, December 12, 2018- President Uhuru Kenyatta donned the full military regalia as he led the nation in marking 55 years of independence from Britain. 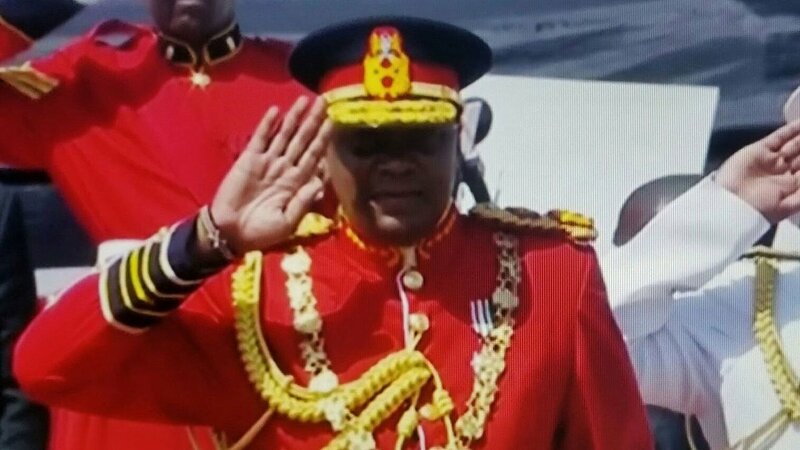 Uhuru wore his ceremonial uniform as Commander in Chief to Nyayo Stadium where this year’s Jamhuri Day celebrations are being held. This is the first time the President is sporting the full military regalia with the sword of power tucked on his side.